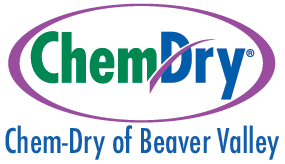 At Chem-Dry of Beaver Valley, we have cleaned for all types of businesses in the Beaver, PA area. Offices, Hotels, Restaurants, Retail Stores other business spaces need to maintain a professional environment and reputation, and an important part of that is cleanliness. We are here to help your business succeed! We understand that every business has different needs. A busy lobby may need frequent furniture and upholstery cleaning, while a small office may only need the occasional carpet cleaning. We’ll work with you to come up with a cleaning plan that meets all of your needs and fits into your budget. For more than 40 years, Chem-Dry® has maintained an aggressive research and development program. With consistent pursuit of knowledge and technology, we know how to treat each different type of carpet fiber and commercial textiles. With Chem-Dry of Beaver Valley as your go-to commercial cleaners, you can know that your upholstery, carpets, and tile are in the best hands possible. Call us at (724) 643-4029 or schedule an appointment online today!